Shortly after unveiling the GLC SUV, Mercedes-Benz is presenting the new GLC Coupe. The next-generation of the successful model combines the sportiness of a coupe with the functionality of an SUV. The result is a vehicle that caters to individuals who place a great importance on eye-catching design, dynamic performance, and everyday practicality. The new GLC Coupe benefits from a wide array of innovative technologies, intelligent driving assistance systems and an all-new engine. 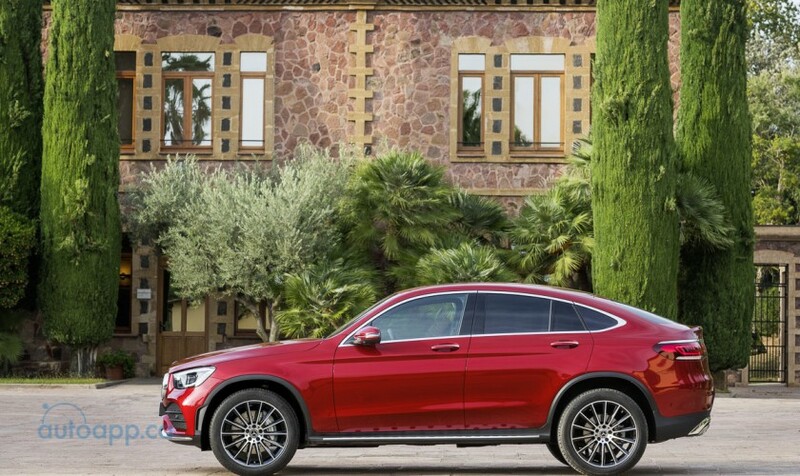 Characterized by its dynamic appearance and elegant lines, the exterior design of the GLC Coupe references hallmark off-road features such as a dominant front-end, powerfully sculpted surfaces, and chrome underride guards. Dropping roof lines, a rounded rear window, and sportier proportions emphasized by a wider track contribute to a sportier look. Other design highlights include standard fit LED High Performance Head Lights with torch-like design daytime running lights, as well as a powerfully contoured diamond radiator grille with integrated star and single louvre. The GLC Coupe proudly showcases how the design features of a coupe can be seamlessly integrated with that of an SUV. In addition, the dynamic proportions and the generous ground clearance emphasize the GLC Coupe's range of abilities – it's just as at home on the road as it is off-road. 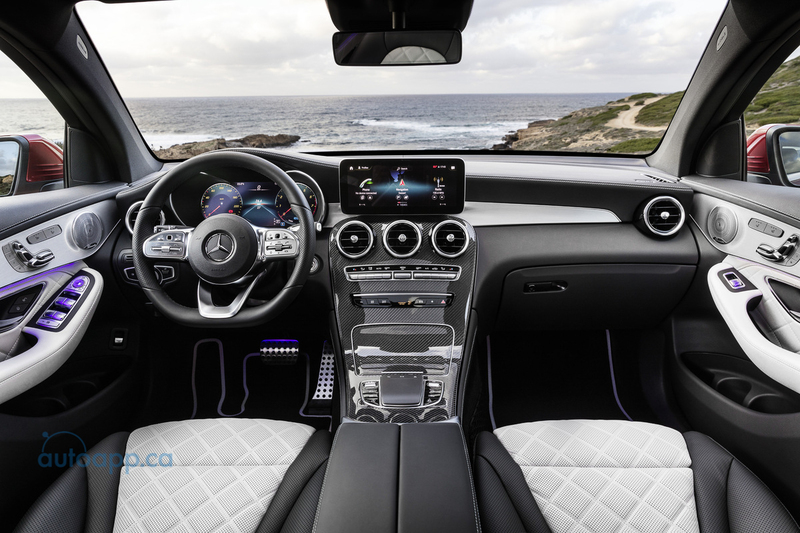 The interior of the GLC Coupe is characterized by refined materials, precision workmanship and flowing shapes. The centre console, which is composed of a single panel, sweeps elegantly from the centre air vents to the armrest, and adds to the premium feel and exceptionally high-calibre build quality. The multifunction steering wheel is now available in two versions, and has been completely updated for model year 2020 to be sportier than ever with a distinctive spoke design. 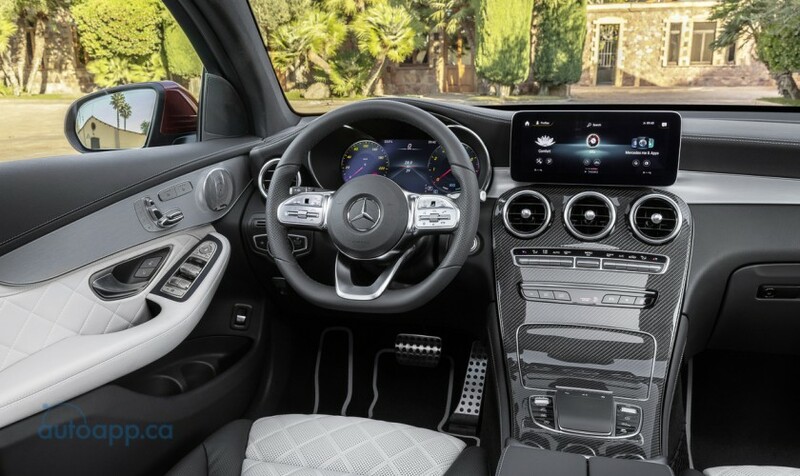 The updated steering wheel also features Touch Control buttons that enable the driver to control the instrument cluster, Active Distance Assist DISTRONIC, and multimedia systems without their hands leaving the wheel. Telematics functions can be operated via the multifunctional touchpad on the centre console, which replaces the rotary COMAND controller. Information for the driver is presented on two high-resolution displays. The free-standing multimedia display in the centre is available in two sizes: seven inches with a resolution of 960 x 540 pixels and 10.25 inches with a resolution of 1920 x 720 pixels. A large 12.3 inch digital instrument cluster is available as an option. On these screens, the driver can choose from three designs: "Classic", "Sport" and "Progressive". Another highlight of MBUX is Augmented Reality navigation. With this optional feature, navigation information is superimposed onto video taken from the front camera. This navigation feature helps the driver understand exactly where to turn, or where a specific address is located. MBUX also features natural voice control that makes vehicle operation even more convenient and intuitive. Through voice command, the driver can prompt the system to read out text messages, operate the audio systems or access vehicle functions such as climate control. With natural voice control, the driver does not need to memorize specific commands to take advantage of these functions and can use natural speech to direct the vehicle instead. 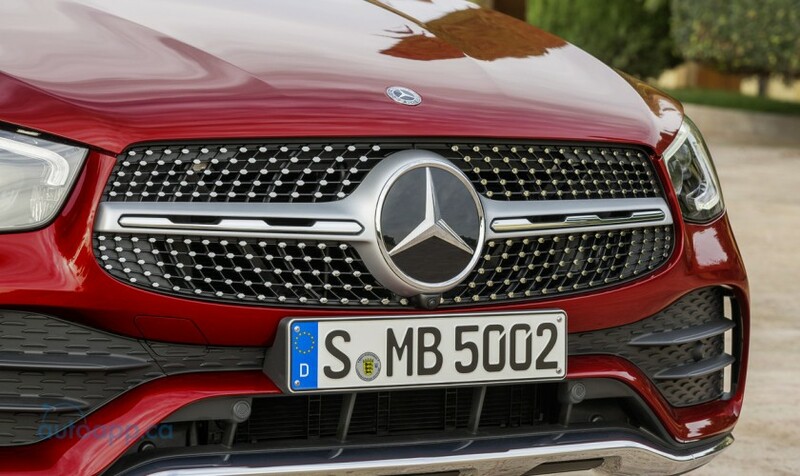 The updated GLC Coupe comes equipped with the next generation four-cylinder engine from Mercedes-Benz. This 2.0 litre inline-4 cylinder turbocharged engine produces 255 hp and 273 lb-ft of torque -- an increase of 14 hp over the previous model. The GLC Coupe is also equipped with a 9G-TRONIC 9-speed automatic transmission that contributes to a dynamic driving experience. 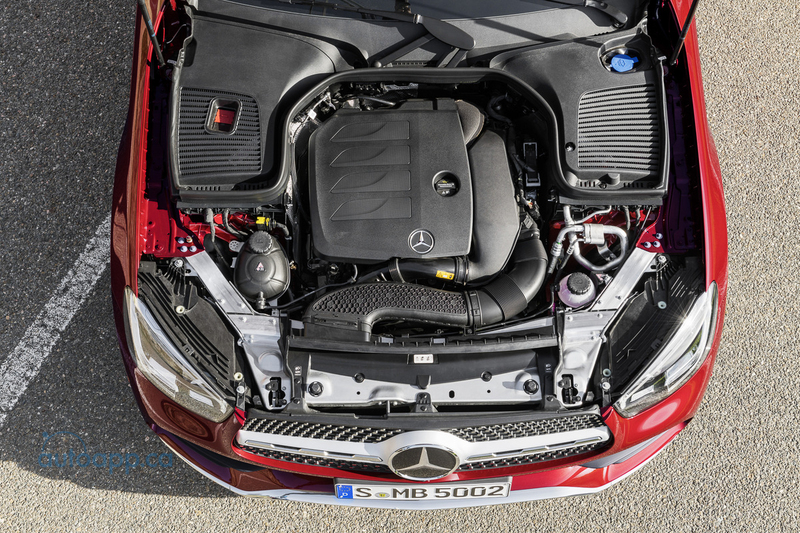 The new engine reduces CO2 emissions and improves fuel efficiency. The main technological components of the engine are the CAMTRONIC variable valve control, which heats up the exhaust system without increasing consumption, and the twin scroll turbocharger. 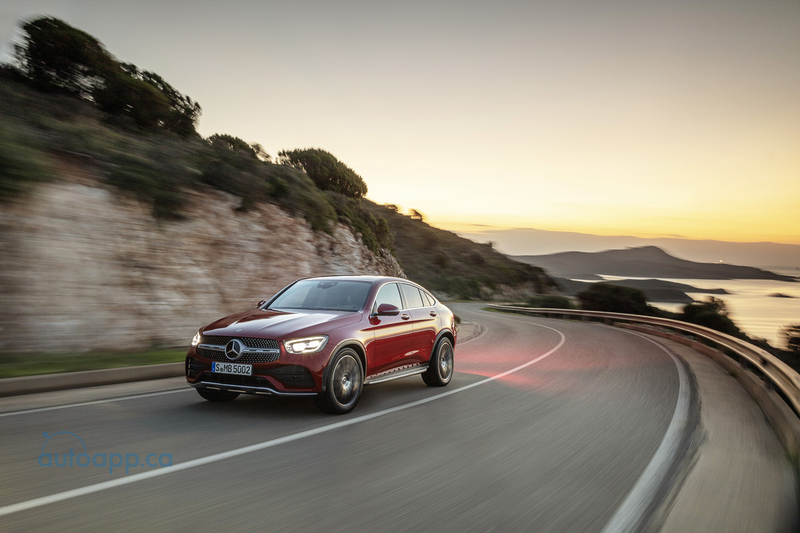 The updated GLC Coupe features an even greater level of driver safety and comfort systems. 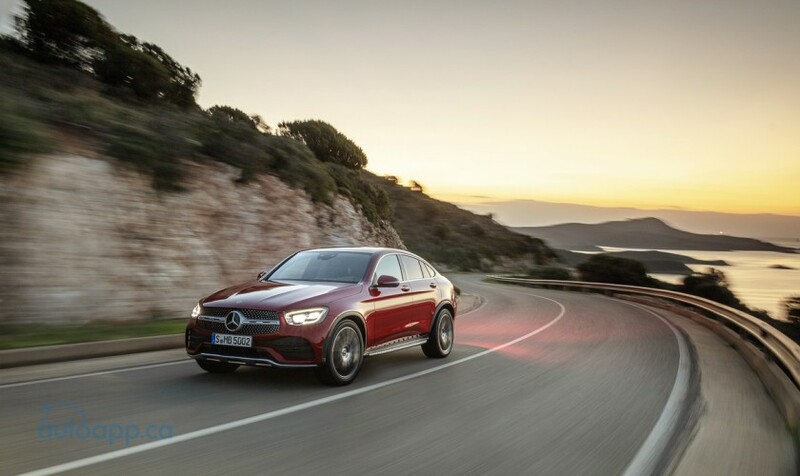 When Active Distance Assist DISTRONIC with route-based speed adaptation is activated, the new GLC is able to recognize and respond to traffic jams or slow-moving traffic with the help of information from LiveTraffic, even before the driver becomes aware of this traffic obstruction. This is complemented by an improved Active Lane Keeping Assist and the additional functions of Active Emergency Stop Assist. An exit warning function reduces the risk of failing to see an approaching vehicle or a cyclist when opening the door. This function is only active when the vehicle is stopped. When the driver or a passenger opens the door and a vehicle is approaching, the system emits a visual and audible warning. The function is active for up to three minutes after turning off the engine. Active Parking Assist is available as an option on the updated GLC Coupe. At speeds below 35 km/h, when the button for Active Parking Assist is pushed, the system will display all identified parking spaces in the immediate surroundings on the multimedia display. Drivers can then select the parking manoeuvre via the touchpad, the touchscreen of the multimedia system, or the right-hand control panel of the multifunction steering wheel. The system will then provide assistance pulling into and reversing in and out of a parallel or perpendicular parking space. In combination with Blind Spot Assist, Active Parking Assist can warn the driver of cross-traffic when reversing out of perpendicular parking spaces, and can initiate automatic braking if necessary. Active Parking Assist gives a visual and acoustic warning if obstacles are detected by any of the six ultrasound sensors in each bumper. These can be in front of, to the side, or behind the vehicle, and are detected at speeds up to approximately 10 km/h. Car-to-X communication supports the driver by providing up-to-date information and warnings of hazardous situations on the road.